Item # 318739 Stash Points: 4,495 (?) This is the number of points you get in The Zumiez Stash for purchasing this item. Stash points are redeemable for exclusive rewards only available to Zumiez Stash members. To redeem your points check out the rewards catalog on thestash.zumiez.com. 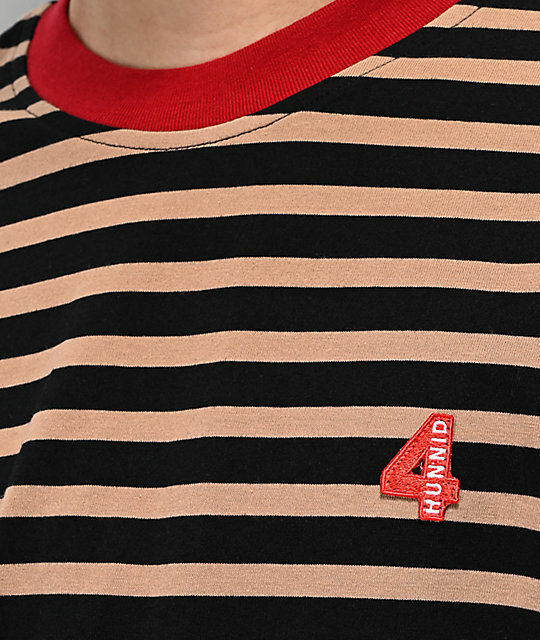 Give your casual looks some colorful pattern and flair with the 4Hunnid Khaki & Black Striped T-Shirt. 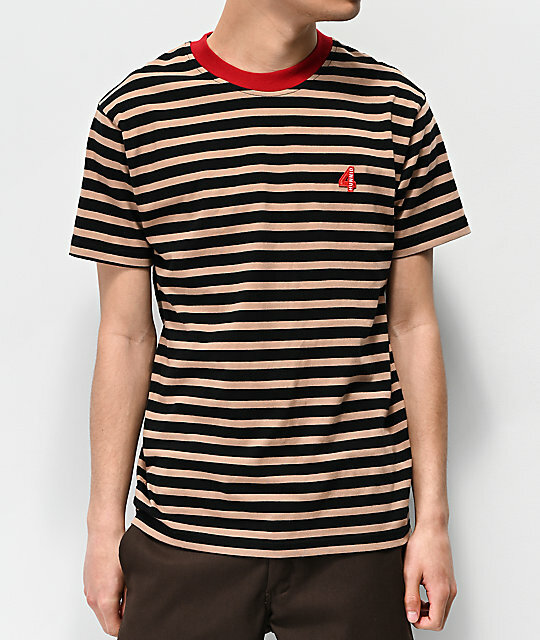 Constructed with an embroidered 4Hunnid patch at the right chest and featuring khaki and black horizontal stripes throughout, this t-shirt is an easy integration into all your favorite looks. 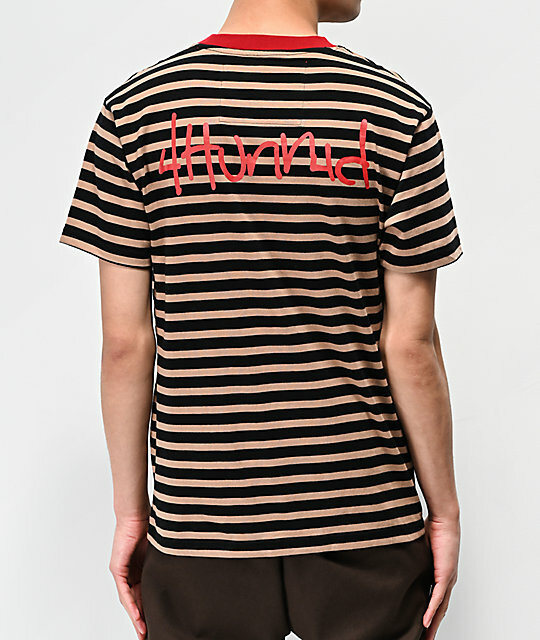 Khaki & Black Striped T-Shirt from 4Hunnid. Khaki and black horizontal striped design throughout.